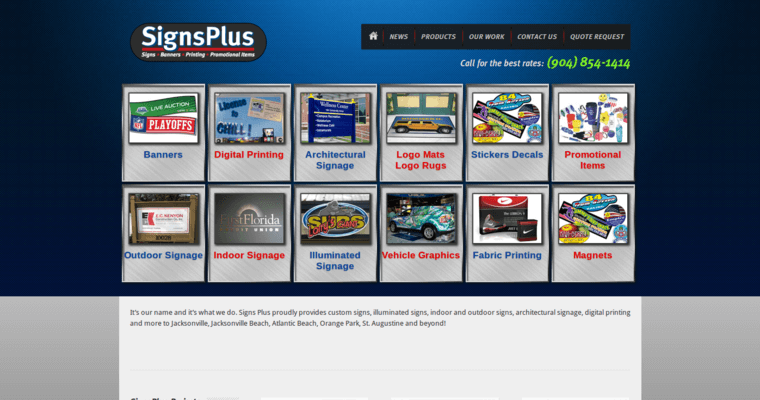 Signs Plus USA is a banner print firm based out of Jacksonville, FL. The company is well-versed in many facets of sign printing including banners, digital printing, outdoor signage, illuminated signage, vehicle graphics, and fabric printing. 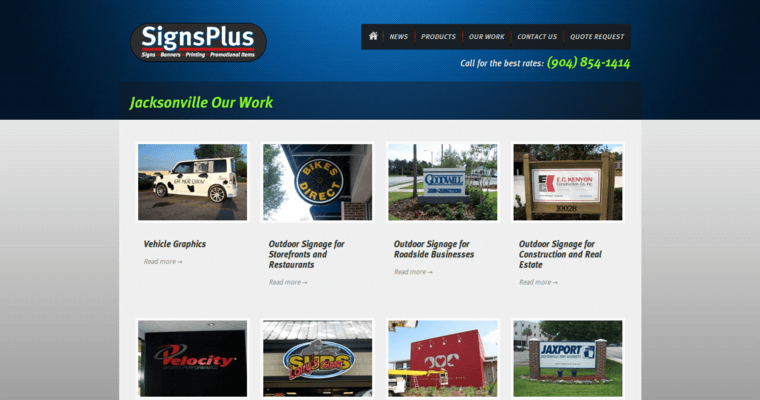 Signs Plus USA offers a wide array of options to clients who want to design truly unique and original signs. The company sets itself apart from the competition by offering an un-matched selection of products. Likewise, online visitors are actively encouraged to visit the facility in person. 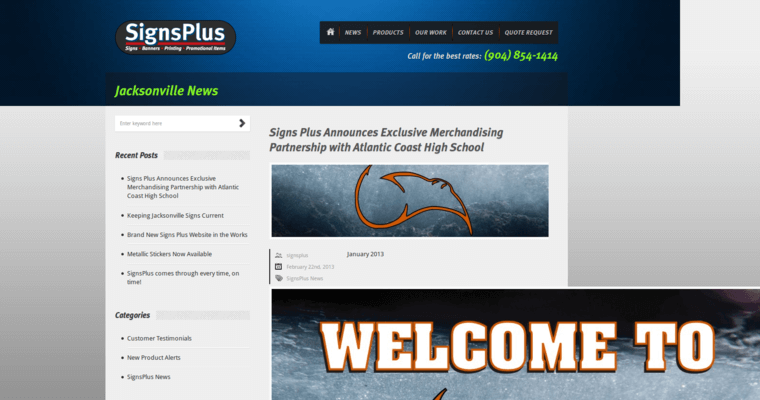 Signs Plus USA truly creates a transparent experience for potential customers that are still on the fence.